I adore November. It is probably my third favourite month, though I have only ever bothered to rank the top three (in case you’re wondering: 1. February, 2. April, 3. November). Vancouverites will tell you that November is the most miserable month here, as it rains every single day and the sun never emerges. This, I think, is what makes it so wonderful. I get a little grumpy if the sun tries to stick around more than an hour or two a day this time of year. There is nothing I like more than going out into the woods on a rainy day and walking about for a few hours. And to be inside afterwards, warm and dry, curled up with a book while you listen to the rain…heaven. The rest of the city is resentfully going into hibernation but I find myself more energetic than ever. And I will need energy if I’m going to do what I’m thinking about doing. I want to learn how to quilt, which would also mean having to learn how to use a sewing machine again. I reread Jane Brocket’s The Gentle Art of Domesticity a few weeks ago and was so drawn to the bits on quilting that I immediately placed a library hold on Jane’s The Gentle Art of Quilt-making. I sat down with it Saturday night, planning to flip through it in front of the television but it wasn’t long before I had abandoned my show (a rerun of As Time Goes By – forgive me Judi Dench) and had focused all my attention on the book. Now, I know next to nothing about quilting so almost everything I read was new to me and it was all enthralling. In the introduction, Jane talks about “how much I loved quilts and how much I wanted to make one, but…I was convinced it was all rules and regulations and…I thought it would be too difficult.” A friend convinced her that there was no need to feel intimidated and then that was that. After a weekend course on the basics of quilting, which you better believe I am already on the lookout for in my area, off she went. 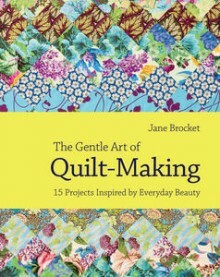 The book focuses on 15 of Jane’s quilts and the inspiration behind their designs. Because I am a total geek and information-hungry beginner, I found the actual directions even more interesting that the stories. I went to bed Saturday night dreaming of fabric combinations and quilt patterns. It was all very obsessive and very wonderful. On Sunday afternoon, still feeling inspired, I decided to root through one of our chests and pull out some of the old family quilts. 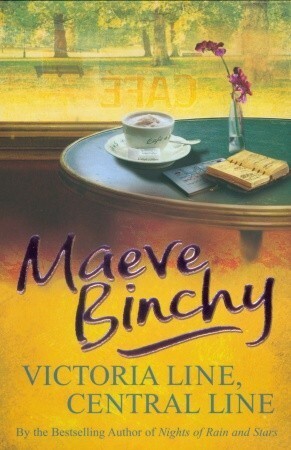 My only other completed reading this week was done on the go – a volume of Maeve Binchy short stories read while travelling around the city by bus. I could not have had a more appropriate book to keep me company this busy weekend since the London-set Victoria Line, Central Line stories are focused around characters who also travel by public transit. Victoria Line was originally published in 1978 and Central Line in 1980, making this the earliest of Binchy’s work that I’ve read; until now, I had only tried her novels. 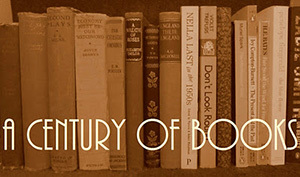 Most of the stories aren’t particularly memorable – though there are a few exceptions, mostly for the stories with more sinister tones – and all seem to revolve around women with unstable but rarely addressed romantic relationships but they were enjoyable to read and made for a pleasant way to pass the time on my travels. Dear Mr Anstruther, — It is kind of you to want to contradict what I said in my last letter about the outward appearance of my life, but really you know I am past my first youth. At twenty-six I cannot pretend to be what is known as a young girl, and I don’t want to. Not for anything would I be seventeen or eighteen again. I like to be a woman grown, to have entered into the full possession of whatever faculties I am to have, to know what I want, to look at things in their true proportions. I don’t know that eighteen has anything that compensates for that. It is such a rudderless sort of age. It may be more charming to the beholder, but it is not half so nice to the person herself. How could I not love a book with such a heroine? 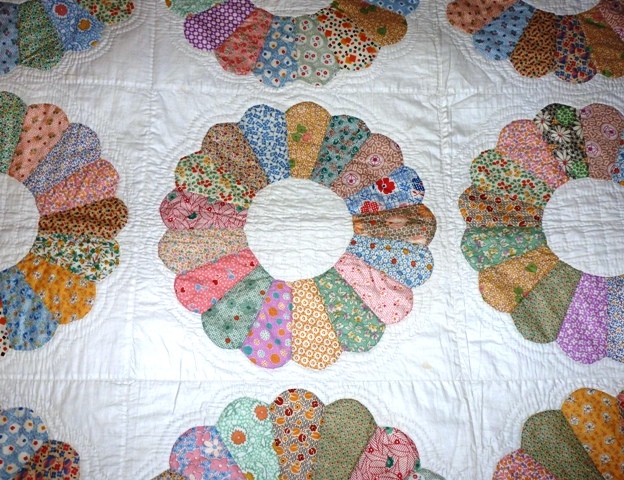 Oh, how lucky you are to have old family quilts. I’ve tried quilting, but never got along with it – I prefer embroidery and crochet, and currently have two crochet blankets on the go. It’s a lovely way to pass the time on a cold autumnal day, hooking away at a half a blanket across my knee, while listening to Radio 4! I love to crochet too, Christine. However, because I learned how to crochet when I was quite young and my grandmother was prolific, we have more than enough blankets etc to see us through the next three or four generations! Houston just hosted our annual international quilt festival this past weekend, which always, always makes me want to take it up. 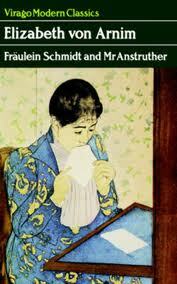 And I’m waiting for my copy of Fraulein Schmidt (I can’t find the umlauts!). I think you’re going to love Fräulein Schmidt, Lisa! The joy of it is getting to know the good Fräulein herself. I started reading it too quickly but have learned to slow down and enjoy each letter individually. I too love the short days, Audrey, for exactly the reasons you say! And I think my desire to quilt is going to overcome my dislike of sewing. I don’t mind hand-sewing but I loathe sewing machines. I am going to have to make my peace with them and I really think that will be the most challenging part of the entire process. What lovely quilts! I’ve taken up macrame again recently and your description of going to bed dreaming about patterns made me smile – I’m keeping a notebook by the bed to write down ideas as they always come while I’m in a half-awake state. I’m much better at researching techniques and making copious notes than I am at actually making things, but I shall persevere, and think of you planning your quilts. 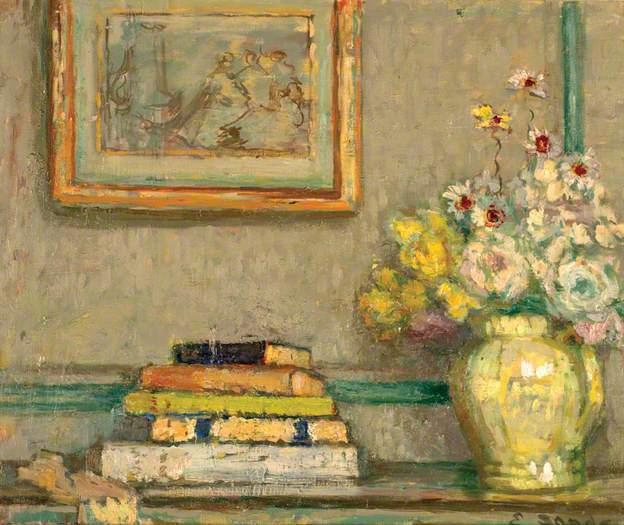 And that Elisabeth von Arnim book sounds lovely, must find it. I visited Vancouver in November one year and it was lovely, very soft and pleasant. It rained later while I was in Duncan, but it felt very familiar and British, so I didn’t mind – I was getting a bit homesick by then. The bedside notebook is a great idea! I’ll have to remember that. Like you, I’m great at research and planning but not always so wonderful at follow through so we’ll see how it get along with this quilting idea. Even so, the research is terribly fun and I’m having a wonderful time looking at designs and reading different books on the topic. I had to smile about your dreams of patterns – I had a similar experience when I started making bracelets for a fund raising events. I think I was counting beads in my sleep. I’ve tried quilt making a few times but never managed to turn any of those pretty shapes into anything that by any stretch of the imagination could be called attractive. I am terrified by quilt design even as I am thrilled by the idea of it! There are so many colours and shapes and patterns involved – how can I possibly know how to combine everything correctly? But it should be a fun learning experience. JEALOUS of your quilts. How gorgeous they are! I started making one in 2009 and I’m still going. One day I will finish! Top tip – do not make a hexagon quilt. Just don’t do it. Stick with squares – or better -rectangles! So much quicker! Got it: hexagons are evil. 😉 I think I will be going for something SUPER simple when I do start but first I need to work on real basics, like remembering how to thread my sewing machine! Oh I love Elizabeth von Armin’s books and have never read this one. I will seek it out now. And how delicious to work on a quilt during November. I love doing crafts at this time of the year. I am sure you will enjoy doing this. I doubt I’ll actually get to work on a quilt this November (I think I want to brush up on some basic skills before I start any projects) but hopefully at some point this winter I’ll be ready to start!